Aiko was born in Tokio/ Japan. Since the middle of the 1990s she lives and works in New York City. 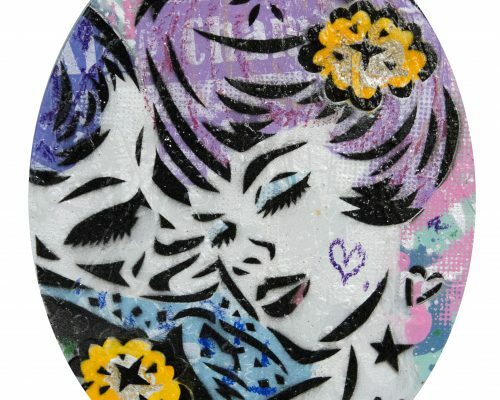 Influenced by her cultural background and her life in the USA, Aiko connects contemporary American art movements like Pop Art and Graffiti with traditional Japanese art and esthetics. Her murals narrate playfully the femininity, sexuality and beauty of human life – narratives of women. Beyond that, her work unites western and eastern culture Within the contemporary art scene Aiko is among the most important artists of the new century. Inside a mostly male dominated graffiti and street art scene she is widely accepted and an important artist to contribute to the visibility of women in our society. Aiko is mostly requested for the design of large outdoor walls. The Wynwood-project in Miami or the historic “Keith Haring wall” in the artistic center of New York are among the most known outdoor pieces. AIKO art works can be seen in the MUCA Art Lounge (1st floor) from the 11th of January 2019. Please check our website and social media channels for special opening hours. Entry free for children aged under 12. For groups of 5 or more persons: Reduced price per person (this applies to regular paying guests) For all groups from 10 persons, registration is generally required.